The term pore is generally used in dermo-cosmetology for the openings of adnexa at the skin surface. 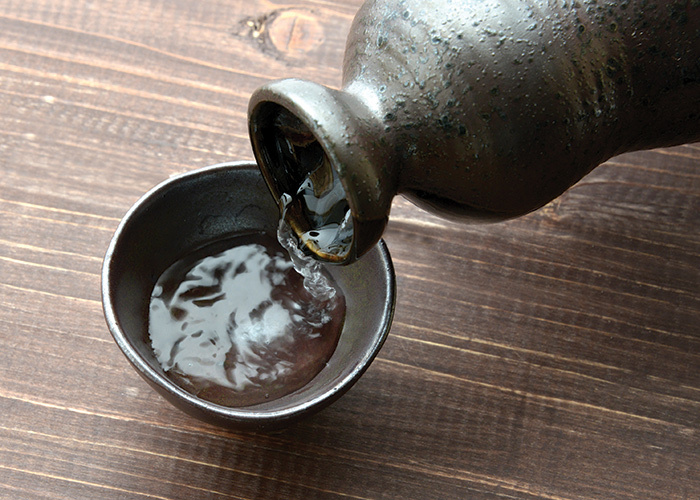 It can be applied both to the orifices of the sudoriparous glands, which secrete sweat and eliminate toxins from the body, and to the orifices of the hair follicles. Follicles have a funnel-shaped structure with a base in the middle dermis; each follicle is associated with a sebaceous gland. Sudoriparous pores are not visible, whereas follicular pores are visible to the naked eye and may be at the origin of unattractive skin blemishes when they dilate. This problem of dilated pores concerns both men and women of all ages and ethnic origins. Many exogenous and endogenous factors influence pore widening. 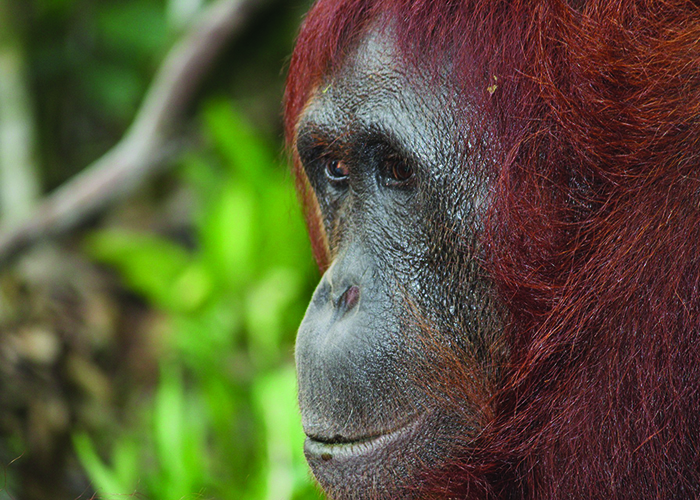 Indeed pore dilation is often associated with skin shininess problems. A high level of sebum production by the sebaceous gland leads to widening of the pore associated with the gland, particularly in the nasal area. It was then shown that unsaturated fatty acids such as oleic acid and palmitic acid were more abundant in the sebum of women with large numbers of dilated pores. 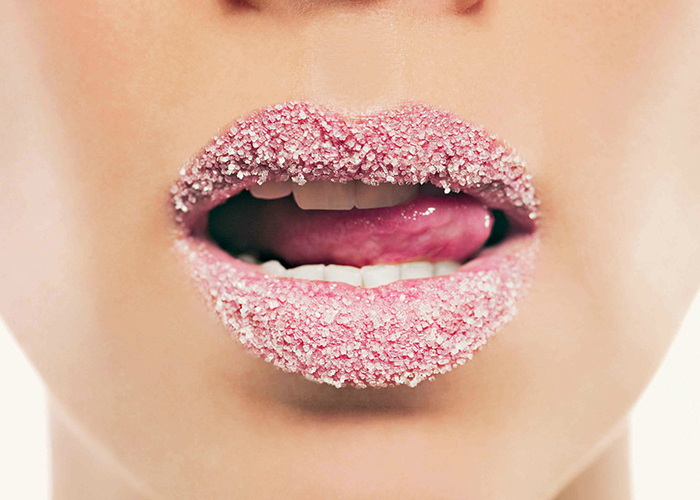 The effects of hyperseborrhoea are mainly physiological: shiny skin, irritation and a feeling of discomfort. Since excess sebum is a factor favouring pore dilation, a treatment targeting the reduction of seborrhoeic secretion would be of benefit for attenuating this dilatation. However, the activity of the sebaceous glands diminishes with age whereas the number of visible pores appears to increase with age up to the 40s. Factors other than sebum thus seem to be involved in pore dilation. Indeed over time the surface area of the pores increases, an observation made in various ethnic groups (Caucasian, Asian, Hispanic and Afro-American)[1,4] and their shape becomes elliptical. In young skin, pores are visible mainly in the nasal and forehead areas, the major cause of their dilation being excessive sebum production. In women in their 40s, the pores appear recessed and distorted because of skin slackening, above all on the cheeks. 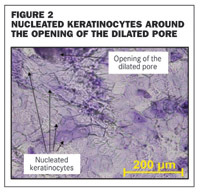 Finally, the third factor involved in pore dilation seems to be related to an abnormal accelerated keratinisation process leading to accumulation of nucleated cells around the pores (figure 2). The physiology of the corneocytes located around dilated pores has been studied and compared with that of corneocytes from non-dilated pores. It was shown that dilated pores were frequently surrounded by nucleated cells in comparison with non-dilated pores. The presence of cells that have abnormally retained their nucleus when they reach the skin surface is an indication of parakeratosis, which is accelerated and incomplete keratinisation of keratinocytes to corneocytes. This parakeratosis can be caused by various factors including inflammation, certain stimuli or the presence in the sebum of abundant unsaturated fatty acids such as oleic acid. To restore the normal keratinisation process and thus reduce the unsightly appearance of dilated pores, keratinocyte differentiation must be stimulated, encouraging the renewal of the nucleated cells around dilated pores by new mature corneocytes. This paper proposes a natural active ingredient targeting the main causes of the appearance of dilated pores as one of the more adapted cosmetic responses to this unsightly cutaneous problem. On Asian Skin: This trial was conducted by the skin engineering and biology laboratory of West China Hospital, Chengdu, in Sichuan province, China, under the management of Professor Li Li. 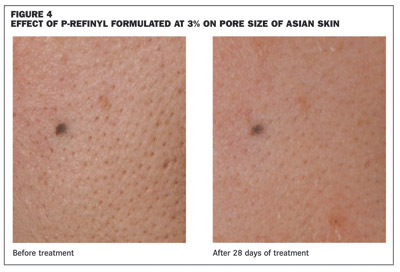 The anti-seborrhoeic efficacy of p-Refinyl formulated at 3% in an emulsion against a placebo on the forehead was carried out on 34 healthy male and female Asian volunteers (mean age 24±2 years), selected as having oily skin and dilated pores. The measurements of sebum levels were made using a Sebumeter SM 815 (Courage & Kazakha) before and after 28 days of twice-daily treatment. On Caucasian Skin: The anti-seborrhoeic efficacy of p-Refinyl formulated at 3% in an emulsion against a placebo on the forehead and the cheeks was conducted on 20 healthy male and female Caucasian volunteers (mean age 41±12 years), selected as having dilated pores. The measurements of sebum levels were made using a Sebumeter SM 810 (Courage & Kazakha) before and after 28 days of twice-daily treatment. The first target favouring the appearance of dilated pores, ie the sebum secretion, is significantly diminished by a long-term treatment with p-Refinyl formulated at 3% in emulsion and against placebo, both on Asian and Caucasian skin (table 1). 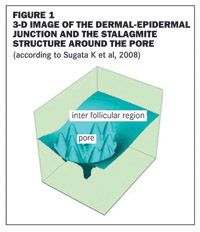 Changes in the structure of the dermis (loss of matrix components) with age lead to slackening of pore walls and accentuation of their wide, distorted appearance. Normal human fibroblasts, cells which synthesise the extra-cellular matrix of the dermis, were treated with p-Refinyl at 0.5% (v/v) for one day. After treatment, the expression of mRNA coding for collagen I was quantified by RT-QPCR. Results have shown that p-Refinyl significantly stimulates the expression of collagen I by 100%, reinforcing the pore wall support structures. In-vitro: Normal human keratinocytes were treated with p-Refinyl at 1% (v/v) for two days. The expression of mRNAs coding for transglutaminase 1 and involucrin, two major proteins involved in keratinocyte differentiation, were quantified by RT-QPCR. 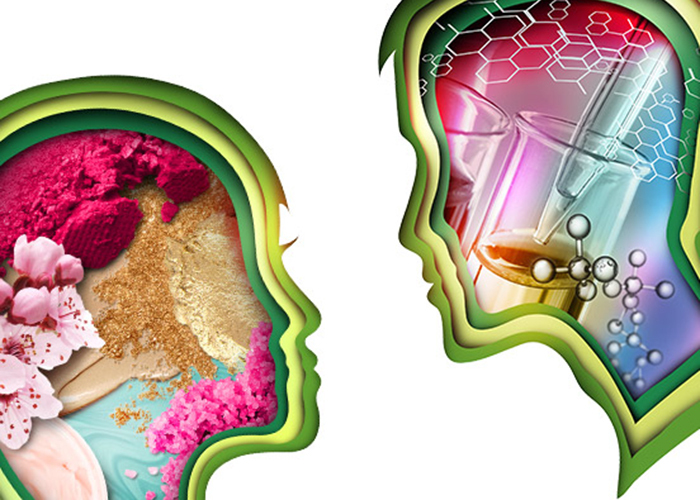 Results showed that p-Refinyl at 1% significantly increases the expression of differentiation proteins: transglutaminase I by 34% and involucrin by 27%. 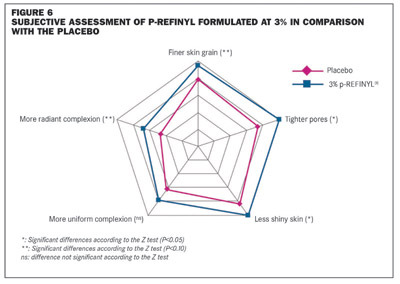 In-vivo: p-Refinyl formulated at 3% was tested against a placebo on 20 healthy male and female Caucasian volunteers (mean age 41±12 years) selected as having dilated pores on the cheeks. After 28 days of twice daily application, samples of cells were removed by using cyanoacrylate and labelled with crystal violet. After observation by microscopy, evaluation of the presence of nucleated cells was conducted by using a scoring scale (0-4) with five trained evaluators. 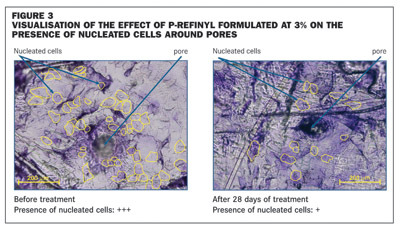 As shown in figure 3, p-Refinyl significantly reduced the number of nucleated cells recovered around pores on the cheeks by 20.8% (P=0.0407). Tested in comparison with a placebo, p-Refinyl formulated at 3% in an emulsion significantly reduced the area of pores (-62%; P=0.0001) and skin roughness (-23%; P=0.0010) (figure 4). The efficacy of p-Refinyl formulated at 3% in emulsion against a placebo on the cheeks was conducted on 20 healthy male and female Caucasian volunteers (mean age 41±12 years), selected as having dilated pores. The effect of p-Refinyl on pore area was studied by measuring the area of pores, with image acquisition by Interference Fringe Projection (Eotech, France, DermaTOP 1303 system, Breuckmann, Germany) before and after 28 days of twice-daily treatment. 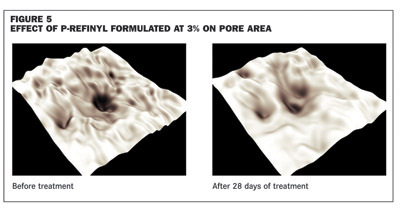 After 28 days of twice-daily treatment in comparison with a placebo, p-Refinyl formulated at 3% in an emulsion significantly reduced the area of pores by 10.2% (P=0.0582) (figure 5). 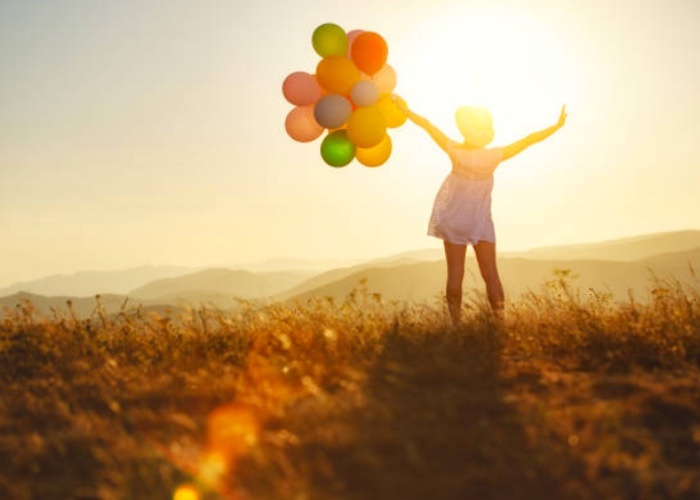 The sensations felt when using p-Refinyl against placebo for 28 days were assessed by means of self-assessment questionnaires containing closed questions. After 28 days of twice-daily applications, p-Refinyl formulated at 3% in an emulsion, in comparison with the placebo, was generally perceived to be more effective than the placebo (figure 6). The volunteers observed that p-Refinyl refined the skin grain by tightening the pores. All of the volunteers found that their skin was less shiny. Lastly, p-Refinyl unifies the complexion, making it more radiant. The unsightly problem of dilated pores created by irregularities and imperfections at the skin surface and the modification of skin texture is going to favour the appearance of a dull and uneven skin complexion. These solutions tend to reduce pore size and patients have much brighter and lighter looking skin, but it was reported that these treatments can induce side effects such as dryness, a burning sensation, erythema and /or photosensitisation. Abnormal keratinisation process: after treatment, p-Refinyl restores a normal keratinisation process and reduces the number of nucleated keratinocytes which rigidify the pore wall and prevent its closing. Thanks to this multi-action, p-Refinyl attenuates the shininess and the unsightly appearance of dilated pores of Caucasian and Asian skin, and gives a toned and refined skin grain. This natural active ingredient, rich in oligosaccharides from Lens esculenta, can be used in all skin care products claiming a pore minimising refining effect or targeting the cutaneous imperfections for an improvement of skin texture.